WhatsApp is mostly used in Smartphones. NOW, Learn how to use it with similar ease in your Tablet PCs. Be it Android, Blackberry, iPhone, Windows phone or Nokia phones; WhatsApp is supported in all. It uses the SIM carrier’s network or Wi-Fi (when available) to send/receive messages to your contacts, which exist in your device’s address book and also have WhatsApp installed in their individual devices. Once you install WhatsApp on your device, it automatically builds up a separate contact list (filtering out the contact numbers from the device), which are registered users of WhatsApp. So if you ever thought that WhatsApp doesn’t run on a SIM-less Tablet PC? Then keep no doubts in your mind. With a simple method you can install it in your tabs, even if they lack SIM-slots. First you need to download the apk file of WhatsApp and Go contacts. After downloading the files transfer the apk files to tablet pc internal memory. 1) Download the apk file of “Go Contacts” app from here. 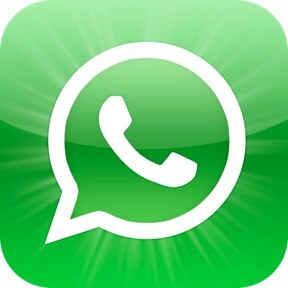 2) Download the apk file of “WhatsApp” from here. 3) Now locate the WhatsApp apk file through File Explorer in tablet and click on it. Now you will be directed to installation window. The process is easy and all you got to do is follow instructions and give the sought information during the installation process. This might take a while. a) Pick a valid phone number you want to register with Whatsapp. b) Whatsapp’s system shall sms/call to give a confirmatory code, use it to confirm your registration with them for the particular phone number. Enjoy the Whatsapp for free for the first 12 months on this registration. 4) Now find the Go Contacts apk file through File Manager. Click to install it. 5) Add phone no in Go Contacts App. See the video for more detail. Remember: The only contacts which show up in your Whatsapp Contact list are the contacts which have their phone numbers registered with Whatsapp. a) Now when you run Whatsapp you won’t see any contacts in the list, if you haven’t already fed contacts in your Contacts manager (here Go contacts). b) So, all you have to do is add all your Whatsapp contacts in the Go Contacts manger and you will find all in your Whatsapp contact list. Disclaimer: We have tried and tested this on many SIMless Tablet PCs but still can not guarantee for all. So please don’t hold us responsible if, by any chance, this process doesn’t help you. Here is the video proof of the installation/working of WhatsApp in the Android Tablet. 6) Samsung Galaxy Note I and II. 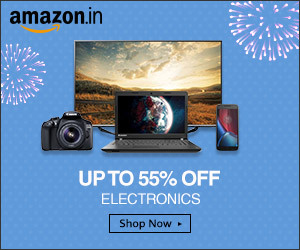 For a detailed list on these/similar tabs with their price CLICK HERE.